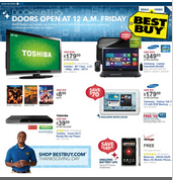 View the Best Buy Black Friday ad for 2012. Here are all the dealss! See more Black Friday 2012 Deals here.